It's time to watch a beautiful sunrise over the roofs of Brooklyn. 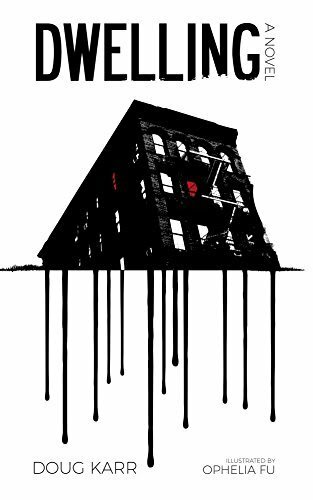 In this post you can see an ink illustration that I created for Chapter Forty One of @dougkarr's amazing book Dwelling, a crime novel set in New York’s Lower East Side. Creating the drawing using inks. Dorian sat up in his loft bed for what was left of the night, knees pressed to his chest, staring out at the twinkling skyscrapers. As the sun rose over the cubist skyline, he finally started to cry. 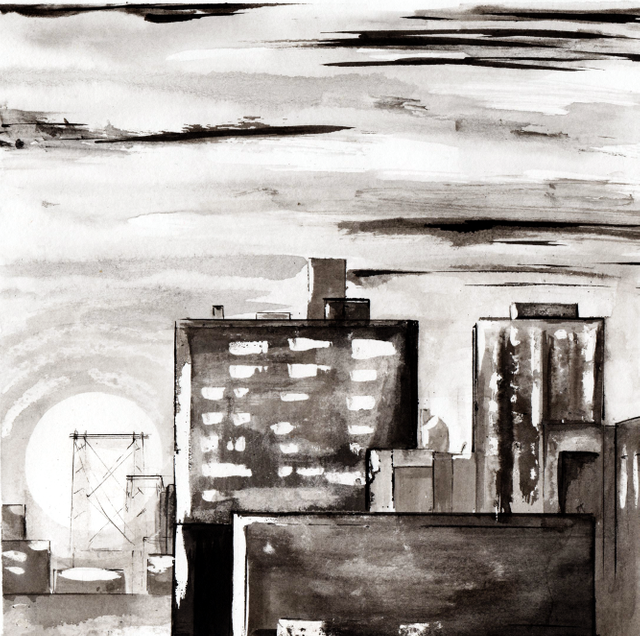 You can find this picture of the sunrise in Chapter Four One of the novel Dwelling. If you have the Artivive app turn to page 291 in Dwelling and you may be able to see that golden sunshine. Love this one so much! When I picture Dorian staring out that window and seeing that sun. Magic. 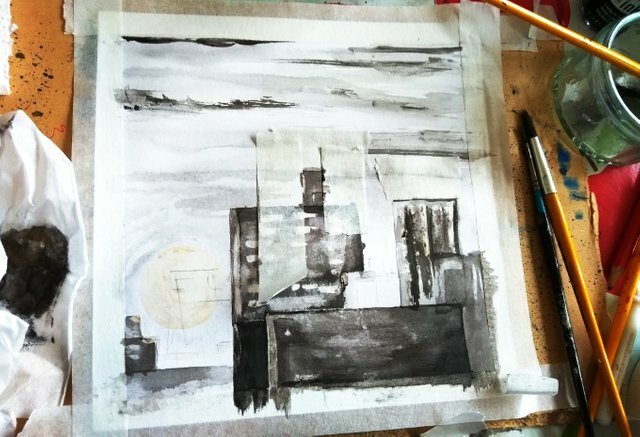 I like the phrase cubist skyline!